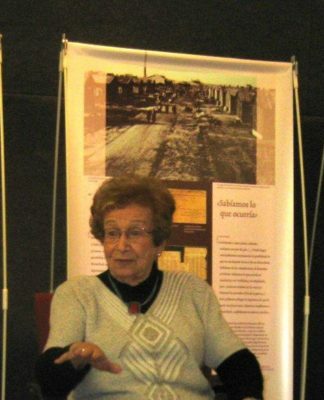 Holocaust survivor Inge Koele speaking at The Holocaust Memorial Resource and Education Center of Florida in Maitland, March 19, 2017. This is the third program in the 2017 Holocaust Center series entitled, I Remember: Reflections of Eyewitnesses to the Holocaust. Inge Koele was born in Banberg, Germany in 1927. 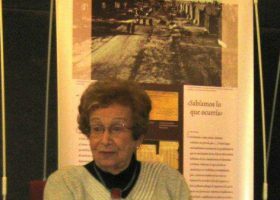 When the Nazis came to power, Inge was sent to Switzerland to a camp and then a boarding school. After being separated from her parents for four years, Inge reunited with them in England. She emigrated to Colombia in 1954 where she eventually became a middle school principal. She moved to the United State in 1997. Inge Koele was born in Banberg, Germany in 1927. When the Nazis came to power, Inge was sent to Switzerland to a camp and then a boarding school. After being separated from her parents for four years, Inge reunited with them in England. She immigrated to Colombia in 1954 where she eventually became a middle school principal. She moved to the United State in 1997.